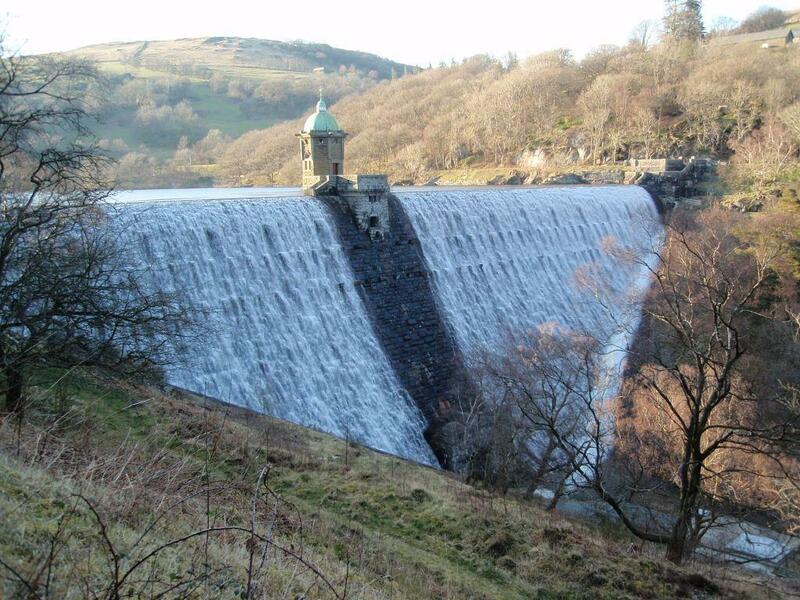 There were two hospitals provided for the hundreds of workers employed during the building of the Elan Valley dams. An accident hospital was sited alongside the navvies village on the far bank of the Elan River, and an isolation hospital was provided on the other side well away from the close-packed village community. Both were much needed at the time. An 1897 photograph of the main ward in the Accident Hospital in the village (see link below) shows the very high standards of the facilities. This was dangerous industrial work, accidents happened, and the hospital provided an A&E service. The floor was carpeted, and there was ample heating and even plants and flowers in the ward. A contemporary report on the services provided in the navvies village in the Elan Valley referred to the work of the accident hospital: "Most of the cases arise through the men either falling on the rocks, or through rocks falling on them. Injuries to the eye are also frequent in the masons yard. Occasionally an accident occurs through the careless use of explosives, and there have in addition been two or three deaths through men being crushed on the railways". The separate isolation hospital for infectious diseases was to prove its worth in 1896, when a severe smallpox epidemic, which spread through the west of England and south Wales, was kept out of the village. "Notwithstanding the large number of tramps coming to the works, the village was fortunately preserved from any outbreak of smallpox, and it is only reasonable to suppose that the precautions taken prevented what would, under the special circumstances of the place, have proved a dire disaster". See more on the history of Elan Village Hospital.